After almost 10 years of careful deliberations, the new EU regulations on medical devices finally has seen the light. On May 5 2017, the new bills EU-MDR (EU 2017/745) and EU-IVDR (EU 2017/746) have been published with 20 days lapse until the day of entry into force, and a 3 year transition before the date of application of the MDR and 5 years for the IVDR. Although most business planning is shorter than these periods, actually the time available is extremely limited given the massive changes that form the basis for the new legislation. Key changes in classification, clinical and performance requirements, administrative details and the expected continuous improvements to keep all products state of art will keep all working on implementation busy for all the time they might spare and more. But the biggest impact of all is that there is no grandfathering. So literally, next to serious QMS improvements, ale product dossiers will need to be upgraded, and for medium and high risk devices they will need to be reviewed again by the notified bodies. 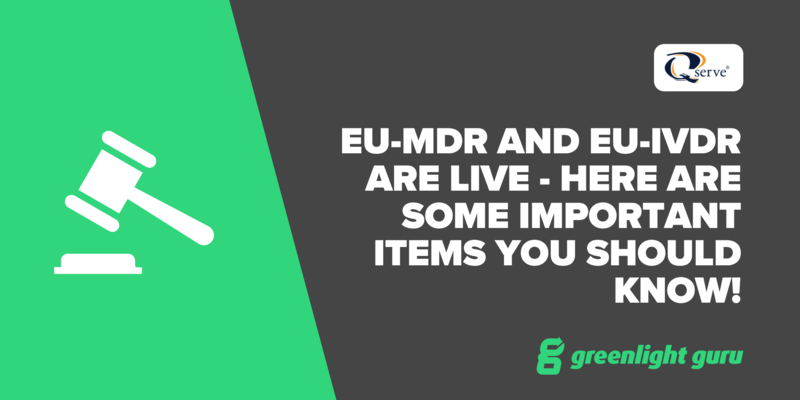 And for IVDR, with the key shift in classification system, that even means that most products that are currently marketed by a self-declaration of the manufacturer will need to be reviewed by the notified body for the first time. Products will be added under the scope of the new legislation (e.g. non-medical cosmetic implants), and others will be removed (i.e. product with live organisms). In an era where getting time from the notified bodies is already compromised, getting started for the first time might turn out a challenge, as notified bodies are ‘full’, and their numbers declining. But alas, that also gives rises to companies aspiring for the first time to apply as a notified body. Many reclassifications are envisaged, all go up, and most prominent is the big shift in risk classification view of software packages, where risk classes go up as soon as they in one way or another support the clinical decision making, which in fact many current class I software packages do. Essential principals are much more detailed that the current essential requirements, and also detailed requirements are indicated for IFU and labeling, but the most prominent changes will be to the clinical expectations, an to the exclusion of risky components utilizing phthalates and potentially carcinogenic, mutagenic and repro-toxic agents. The first requirement, together with significant restriction in allowance on equivalence claims, is estimated to form the basis of 30 to even 70 percent of products in portfolios to be phased out during the transition period, whereas the later shift will also affect the continued supply of older products as re-designing them with less toxic components might prove to be essential. The original designers and innovators will have means to adjust, but many of the me-too products might simply disappear, as return on investment will be hard to achieve for many. Both for MDR and IVDR, other key changes include the stronger involvement, regulatory responsibility and liability of the distribution chain, mainly importer and authorized representative, and to some extent the distributors. Next to that, the enhanced traceability requirements (UDI-focused) and the increased transparency, i.e. summary reports on risk management, on clinical data, and periodic safety update reporting in the publicly available EUDAMED database will provide big resourcing challenges, both initially and continuously. The above issues should to some extent see its implementation started right away. For the first wave of products a company decides to rank as essential for the companies future survival, generation of additional clinical and performance data on the actual product might even have to start before gap assessments and portfolio assessments are fully completed. No time to waste, with the clock ticking. Throughout the transition period, the publication of additional pieces of legislation are foreseen, by means of delegated and implementing acts. Some of these will clarify and fine tune basically all elements of the MDR and IVDR, whilst others might add requirements, e.g. minimum data sets required in clinical evaluation of specific product categories. The publication of the first set, including details on notified body designation, EUDAMED en UDI is expected before the end of the year. Also a few technical specifications are expected to be published in the 2018 timeframe, such as a common specification on TAVI. The guinea pigs of the system will be the companies currently not needing certification, such as class I products, custom made devices and self-declared IVD’s (the vast majority of IVDs). As they do not have a certificate, the additional soft transition period is out of reach for them, as this life line is based on having a valid certificate against the current directives. On the other hand, in the MDR field these groups might actually succeed in getting into compliance, as they can claim compliance when internal checks indicate they have done all that is needed, whereas for products that in the future need notified body certificates MDR compliance can only be claimed after successful audits and dossier reviews, and closeout of the deficiencies identified by the notified bodies. As such, most difficult situation is for those products currently without certificate that in the new regime need a notified body certificate. Ideally a system would be brought in place to give these ‘certificate-orphans’ sufficient priority in the review processes. For related manufacturers certainly important to timely claim conformity assessment slots! Since the publication of the MDR a couple of days ago, the number of notified bodies continued to drop to now 55, and further reductions are expected. And although this will increase the chances of all remaining notified bodies to get assessed in a timely manner, the concern on sufficient capacity of and at notified bodies remain in place. Another task for manufacturers to make the right choices in selecting their notified bodies, as last moment changes at the end of the transition period will be virtually impossible. As eluded to before, some escape clauses have been built in, recognizing the time constraint of designating notified bodies, allowing them a bit more time to finish the assessments. Key is the soft transitioning of an additional 2 years in IVDR and 4 years in MDR for products certified under the existing directives, that would under strict conditions allow manufacturers to continue to produce products during the over-time provided no significant changes are needed to the product, the notified body supervision stays in place, and key elements of MDR / IVDR compliance are in place. If all fails, there is the second mechanism of allowing continued sales of stock stored at times when products were still allowed to be produced under the old legislation. Should you not yet have completed your gap assessment, a portfolio assessment and rationalization, now it is really the time to start. Next, also first level significant budgets for the implementation phase need to be brought in place at this time when many companies start preparing for their 2018 budget rounds. Time is now also to finalize classification reviews, to finalize rationales on clinical data requirements and their exceptions, on re-certification strategies and on decisions with which notified bodies one continues. To replace suppliers that are unwilling or unable to follow into the transparent new regime and to shift notified body in case you have reason to believe they might not timely support you into the new regulations. Time for some serious action! 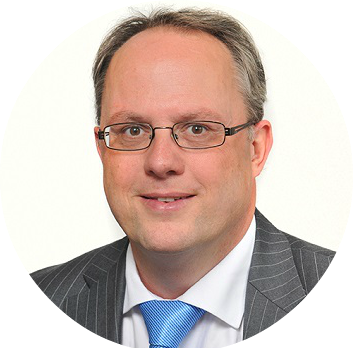 Dr. Gert W. Bos, Executive Director & Partner at Qserve consultancy. Gert is an expert in European regulations based on 22 years hands-on working in the field, as auditor, product reviewer, regulatory specialist, and Head of notified body. He has been leading the Notified Bodies in Brussels for many years, and has strongly supported the regulatory debate with the EU Commission, EU Parliament and the EU Council of Ministers. He combines strong experience in quality, compliance and regulations with a pragmatic, result driven approach at both operational and strategic level. From his PhD in Biomaterial Sciences, and PostDocs in controlled release of drugs and gene therapy, he has dealt as technical reviewer with a large range of devices mostly in the non-active device area. For his contributions to the regulatory profession over the last 15 years he has been awarded as Fellow of RAPS.